We pride ourselves on understanding the needs of our community and providing high quality education and care to children and their family groups. SOEL was established in 1974 by our mother Bernadette Giambazi who received an AM in 2000 for her services to the Australian Early Childhood sector. Louise Thomson completed a Diploma of Childcare in 1985 and has worked as a Team Leader and Centre Director both in Australia and overseas. Louise was involved in the accreditation process as one of the original validators from the National Accreditation Council. Louise has been a Director of the Schools of Early Learning since 1989. Balancing considerations of the bigger picture with the individual needs of families and staff, Louise brings her knowledge, experience and attention to detail to the daily operations of Schools of Early Learning. Sarah Giambazi completed a Diploma of Childcare in 1990 and has worked in centres both overseas and in Australia. In 2000 she became a validator for the National Accreditation Council and accredited services all around Australia. Sarah has been a Director at the Schools of Early Learning since 1997. Sarah’s passion and energy bring innovation and flexibility to team meetings, inspiring the educational programs that support the children’s being, belonging and becoming. Genevieve Giambazi completed a degree in Visual Arts (Curtin University) in 1999, a degree in Graphic Design (Sydney Graphics College) in 2002 and a Certificate III in Children’s Services in 2014. As Creative Director, Gen supports educators to create environments that inspire wonder and awe. Gen oversees the Studio program, opening pathways for children’s investigations, mindsets for respecting children’s voices and attitudes that allow the children to be who they are, to imagine and to have fun. Brett Thomson completed a PhD in Agricultural Science from the University of Western Australia in 1987 and worked for many years as a Research Scientist and business manager in Australia and overseas. Brett’s corporate business experience contributes clarity and structure to the Schools of Early Learning in his role as Commercial Director, a position he has held since 2010. 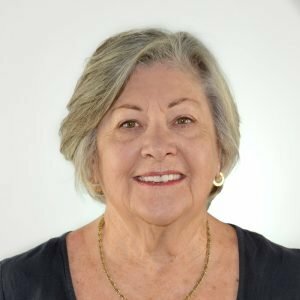 Dr Marie Martin is General Manager of EYE (Early Years Education) Training Pty Ltd, the registered training organisation of the Schools of Early Learning. Marie has a background in teaching, facilitation, professional development, organisational development, community development, project management and parent education. She ‘walks beside’ our educators at all levels as they reflect on their centres, rooms, teaching and learning programs and seek ways of igniting children’s curiosity and passion for learning. Marie is an advocate for children and early childhood education and care. Myra is the Human Resources Manager for SOEL. She completed her Bachelor of Commerce at Curtin University majoring in Human Resources and Industrial Relations in 2010. Myra joined SOEL in 2014 and has been providing professional HR advice through guiding, coaching, mentoring and supporting Managers and staff alike. Myra continues to keep her personal development of the HR /IR industry up-to-date through training workshops, publications and online study. David is the Business Development Manager for SOEL, bringing more than 15 years of childcare experience to the role. Working closely alongside the other members of the Senior Management Team and the Directors, David seeks to implement simple and clear solutions for organisational wide questions. Our logo was developed using the research developed by one child Ruby, 3.6 years, over a number of months. Following her emerging interest in horses, Ruby spent time researching at the library. Ruby’s subsequent drawings demonstrate the benefits of research and artistic process, giving her the ability to express her understanding, with the Studio Coordinators encouragement and support. The four horses illustrate Ruby’s growing knowledge of a horse’s movement, bone structure and muscles. Through these images Ruby shows her emerging understanding and shares her learning with her peers.